I finally found out what Mom was doing Up There On the Table for A Very Very Long Time. P.S. Mom wants to know who wants this puzzle next? McDuff’s Mom said it well! I love the Jack in the snow globe. Looks like the real McCoy. Perfect! Don’t break up a matched set. 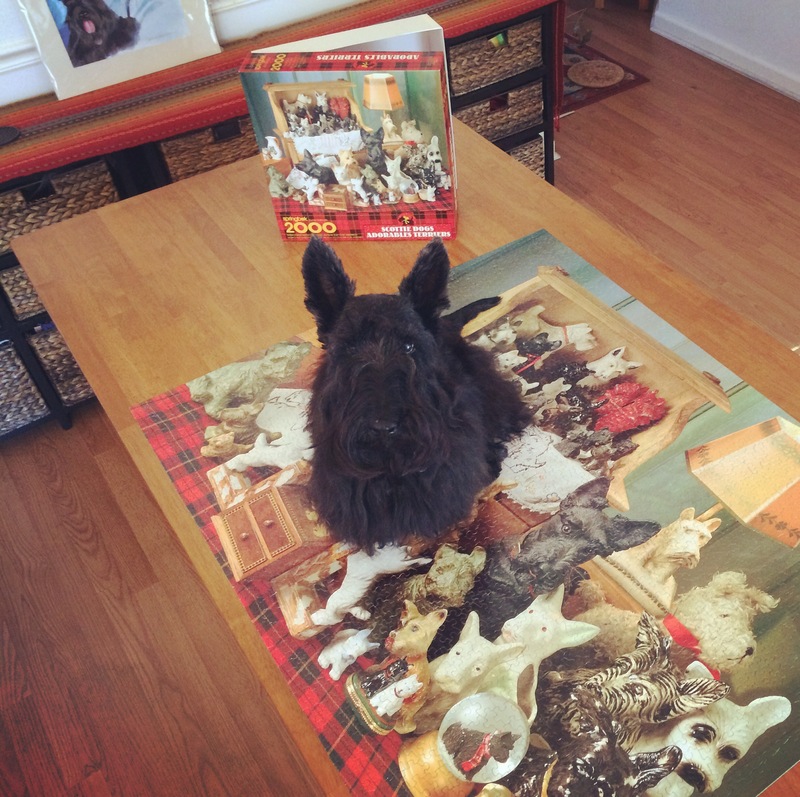 Love this post: Jack atop that great puzzle is wonderful! We used to do a 1000 piece puzzle during Christmas vacation, but not so much now that the nest empty, plus, the kitties can’t seem to stop themselves from knocking off pieces and stealing them.